"An Albanian he is. Don't you see that his head is flat? Besides, one night I was begging him on my prayer rope to tell me his fatherland, and he appeared to me as though he were alive. 'I am an Albanian, from Stika; we are even relatives...' he said." "When he appears to you again, make the sign of the Cross," they told him. "If it is the work of the evil one, he will disappear immediately." It was too late, however. The demon had conquered Demos' heart and would not readily leave. It happened that a bishop was on Athos, Alexander of Rodostolos. He was informed of Demos' strange case, and his opinion was asked. He met with him and came to the conclusion that the visions came from God. "Since Demos takes delight in the prayer rope and the Cross, the revelations were from God." "But all these stories can't be from God! This is all confusion and raving," the fathers said among themselves. "Why don't we ask Elder Daniel? He can solve the problem for us." They therefore took Demos' manuscript and set out for Katounakia. As soon as Elder Daniel had read the first pages, he understood the truth. "The demons are dancing here!" he said. He drafted a text on this subject, with passages from the lives of Saints and patristic writings, and sent it to Vatopaidi. There was no longer the slightest doubt about the delusion. When Demos was told of the answer, however, he went into a frenzy. "Oreh, oreh, Despotis to'peh, oreh Prift!!!" That is - since a bishop accepted the visions as coming from God, how dare Elder Daniel deny it! "Oreh, oreh, Despotis to'peh, oreh, oreh Prift...!" Nevertheless, he was forced by the facts to admit the truth, because once the devil was exposed he never appeared again. All the fathers were convinced as to the delusion, and even Bishop Alexander sent congratulations to Elder Daniel. Truly, as the Apostle Paul said, the devil "transforms himself into an angel of light" (II Cor. 11:14), and woe to him who is taken in by the outward radiance. "A sinner can easily repent, but it is difficult for one in delusion, unless the demon is exposed. As soon as he is uncovered, he is unable to escape," Elder Daniel often said. 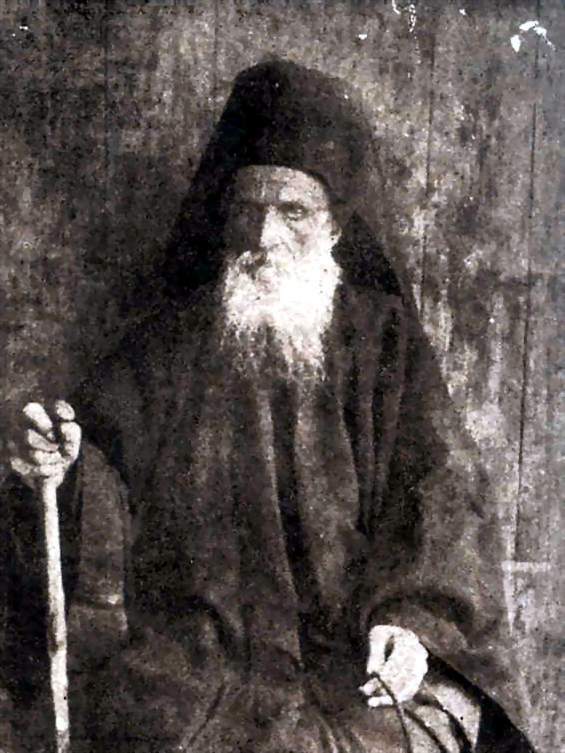 Among those saved from delusion by the Elder's help was also a teacher from Kerkyra, who claimed to have a close collaboration with St. Spyridon. This man had mixed Christianity with Spiritualism, and he believed he could perform marvellous miracles. All of society had been debating about him; and the hospitals and physicians knew him well. 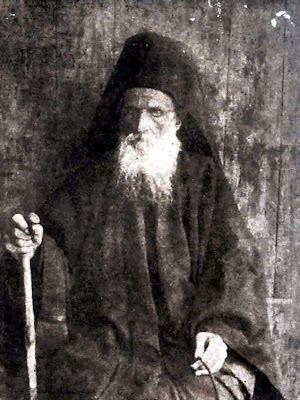 The evil spirit had been appearing to this man in the form of St. Spyridon. He urged him to hold a lighted candle in his hand during prayer, and to not blow it out when it burned down and scorched his hand, because if he bore it patiently he would be as the martyrs. And he told him not to receive Communion in church, but to lick the matter that ran from his burnt hand, for this would be of equal value with Holy Communion. One can understand what terrible burns and scars disfigured his hands. During excursions with his disciples, he would say a prayer with the result that he would summon or disperse clouds, and bring rain. The disciples received no profit, however, because after the prayer and the "miracles" he would speak only nonsense. This man, whose hands were rendered useless by the burns, asked somebody to save him. He went to Katounakia, where Elder Daniel told him that the miracles of God differed from the devil's miracles; and he delivered him from the dominion of Satan. The Elder also released from delusion a monk from the Monastery of Patmos, named Fr. Antipas, who for three years had been seeing what he thought to be the Lord Himself. He claimed that the Lord had been dictating to him the interpretation of the Apocalypse [Book of Revelation] in order to have it published. According to this monk, various significant prophecies of the Apocalypse had been fulfilled by the events of the Second World War. For example, the activity of the two prophets of whom the 11th chapter of the Apocalypse speaks, covers, according to the Prophet Daniel, 1290 days - which are the number of days between May of 1941 and October of 1944. Also, the number of Antichrist, 666, of which the 13th chapter speaks, he saw in the name of Hitler, based on the Latin alphabet. (A corresponds with 100, B with 101, C with 102, etc.) Thus, H=107, I=108, T=119, L=111, E=104, R=117. The total is 666. Elder Daniel convinced him to burn his Interpretations. He also healed a man from Kalavrita, who with the help of the demons knew the Gospels by heart and could walk through fire without being burnt; and also a monk of the Russian Monastery who made 3000 prostrations a day. * This book was unfortunately translated into English and became popular in "underground" circles among the Greek Orthodox of America. I personally acquired this book many years ago in my own parish where a box full of copies were held. Extracted from Contemporary Ascetics of Mount Athos by Archimandrite Cherubim. Subtitles and footnote are by John Sanidopoulos.